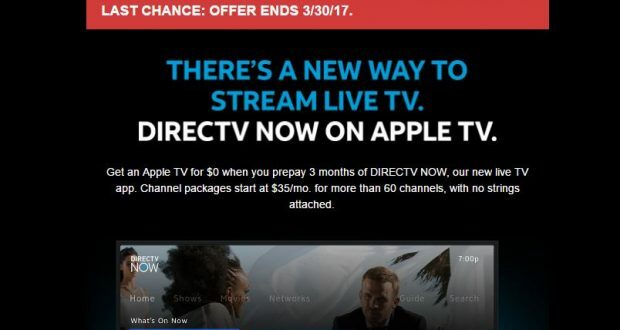 DirecTV is giving you one last chance to sign up for DirecTV NOW and get a free Apple TV. What’s the catch? 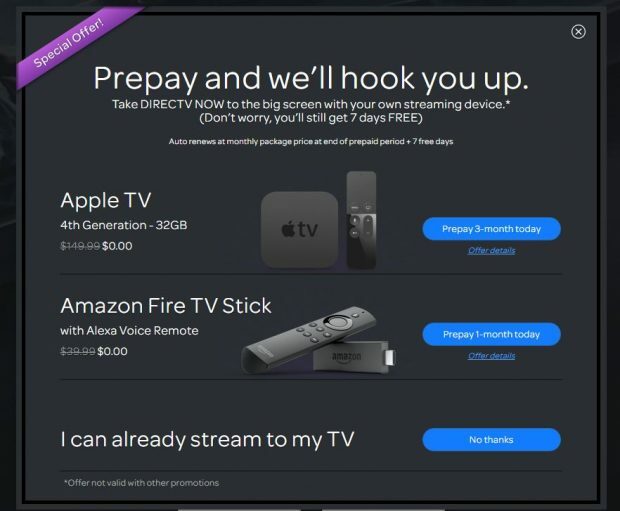 You have to pre-pay for 3 months of DirecTV NOW. Packages start at $35/mo so that “free” Apple TV will cost you $105. 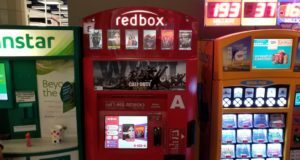 Back when the service first started, they also offered a free Amazon Fire TV Stick (pre-pay for just one month) as well as the Apple TV. Unfortunately, they don’t offer that any more. As for what I think of DirecTV NOW, it’s good value if you got in at $30 for 100+ channels and you want to cancel your cable. 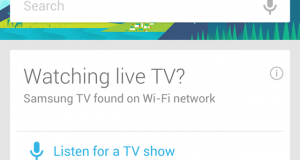 But it doesn’t have a DVR so you’d better be ready to watch all the commercials. Currently CBS is not onboard with the program. I’m also not completely sold on the user interface either. When you are selecting your channel, you get a list (below) and you can move the cursor around. 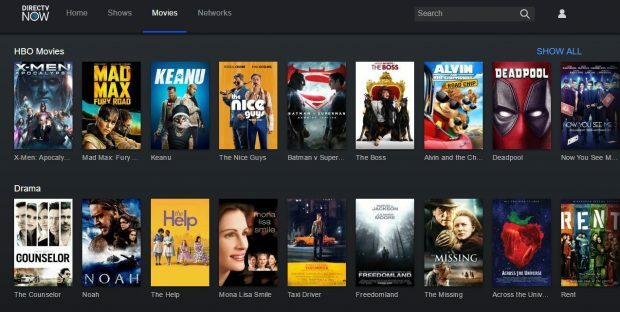 You can also get a list of TV shows or movies (below) which is a nice touch but because there’s no DVR, you have to hope the movie is on soon. It’s just like the way things used to be in the old days of TV. And if you have any problems with the service, you can use their online chat service (below). Or not. All in all, unless they decide to bring some type of DVR or DVR-lite to their service, I’m not sure it will be enough for people to cancel their cable service. The user interface is not ready for prime time and they have not signed up CBS. I suggest you wait until it gets better. This last minute offer has expired.